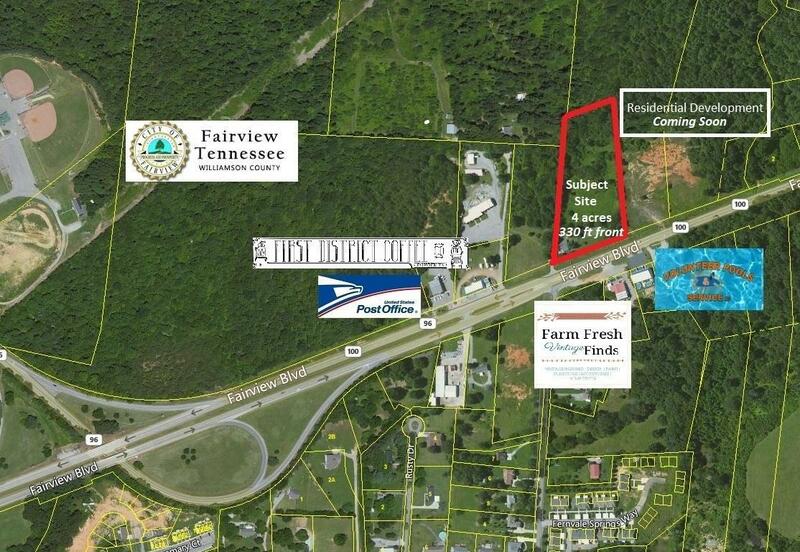 Four acres, great location close to Fairview Post Office and next to future residential development (coming soon). Small rental house on property. Offered by Weichert, Realtors - Big Dog Group. Copyright 2019 RealTracs, Inc. Information Is Believed To Be Accurate But Not Guaranteed.